The viola part for Ravel's Ma Mére L’Oye (Mother Goose Suite) has been edited by Israeli-born Yizhak Schotten, an internationally acclaimed musician whom STRAD Magazine has called "one of America's finest viola players... a leading light of the U.S. viola establishment." Schotten's bowings, fingerings and other editorial markings have been added throughout the score. Maurice Ravel originally wrote Ma Mére L’Oye (Mother Goose Suite) as a four hands piano duet for the Godebski children. In 1911, he orchestrated the five-piece suite which is more frequently heard today. Later that same year he expanded it into a ballet, separating the five initial pieces with four new interludes and adding two movements at the start. The ballet premiered in 1912 at the Théâtre des Arts in Paris. 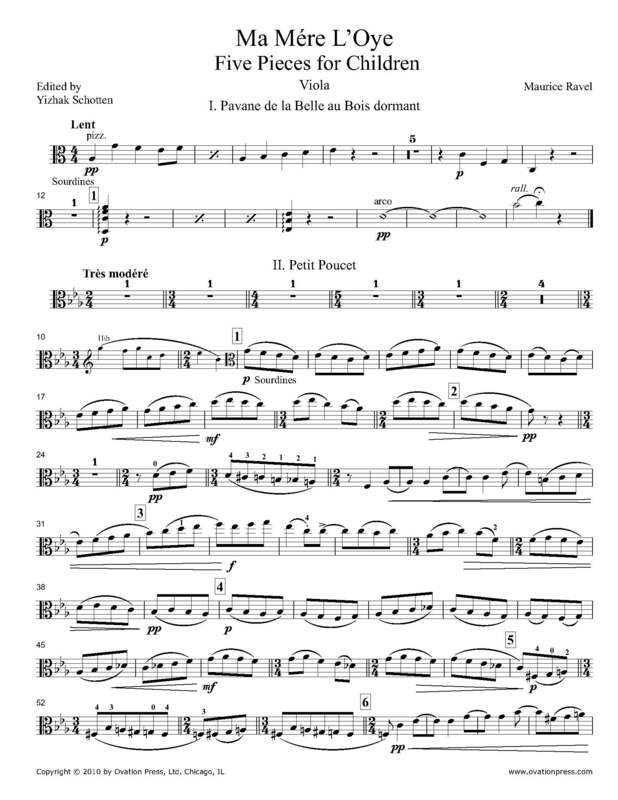 Download and print the score today to gain access to expertly edited Ravel Mother Goose Suite viola fingerings and bowings from Yizhak Schotten! Please note: Bowings have been marked throughout with few fingerings. This score is only available for purchase by customers located in the USA and Canada.